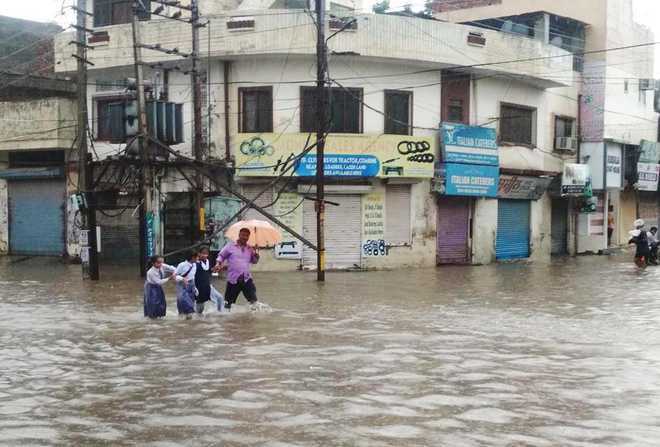 Punjab Chief Minister Amarinder Singh has announced that all schools will remain closed on Tuesday as threat of floods loom over the state. Punjab has declared red alert as retreating monsoons wreaked havoc in the region. Disaster Control Rooms in Punjab have been told to be on standby, as was the Army. Two days of heavy and continuous rainfall has thrown Himachal into chaos as well—beas river is in spate, leading to flood in various parts of Himachal Pradesh. Road networks have been disrupted as a result in various parts of Himachal, disrupting traffic.